Home » King Kohli’ sweeps all three major ICC awards 2018! 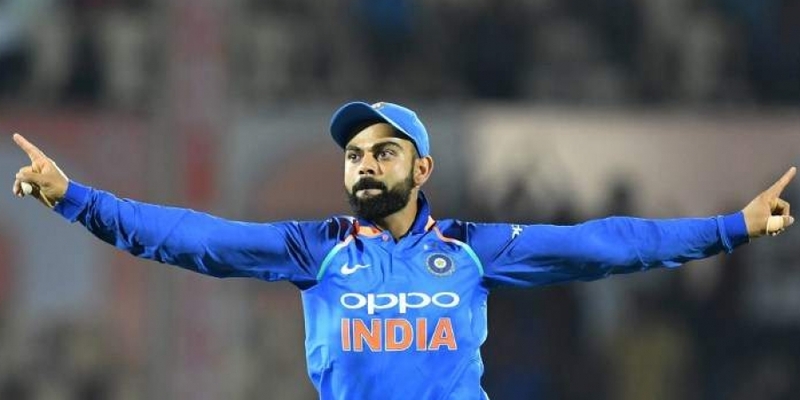 International Cricket Council(ICC) on Tuesday announced the annual awards for the year 2018 and Indian captain Virat Kohli became the first ever player to bag all three top honors including the cricketer of the year 2018. Apart from being the best cricketer of the year, the 30-year-old also won the Sir Garfield Sobers trophy for the second time in succession, was named the best Test player of the year and also the ODI player of the year after his extraordinary batting performance last year. No other cricket player in the history has bagged Sir Garfield Sobers trophy in consecutive years. India’s run-machine scored 1322 runs at an average of 55.08 with five centuries in 13 Tests and 1202 runs at an amazing average of 133.55 with six hundred in 14 ODIs lead him to be chosen by every voting member of the Academy with the majority of them opting to name him at the helm of each. “It was an amazing year and I could play in a manner that I would not have imagined. If the intention is right and you work hard, the results are right in front of your own eyes. The intention was always to help your team at any cost and that is when these performances come by and you are pushing your own limit which otherwise you will not be able to do. That’s something I have experienced in 2018 a lot”, Kohli said. India’s Rishabh Pant was named the emerging player of the year, while Scotland batsman Callum McLeod took home the associate cricketer of the year award. Australia opener, Aaron Finch won the Twenty20 performance of the year for the second time.